The costs associated with maintaining a home that's been vacated after a foreclosure process has already started can be exorbitant for banks. Zombie houses - properties that have had the foreclosure process started then halted before completion, then vacated by the mortgage holders - are magnets for blight and can have a negative impact on the value of surrounding properties and the overall neighborhood. Oftentimes banks that abandon the foreclosure process do so because these properties are simply too expensive to maintain. Low property values generally equate to little to no profit for banks that initiate foreclosures. With no financial motivation to see the process through, it's a lot easier for banks to simply wash their hands of low-value homes rather than invest the money rehabilitating and maintaining them, then getting them ready for the market to sell. Many times banks that have these abandoned "zombie houses" on the books also avoid continuing paying the necessary property taxes, which can lead to further decay of the property. And the longer an abandoned home sits vacant, the more its value continues to dwindle. While walking away from abandoned homes might save banks money upfront, this inevitably ends up costing neighborhoods and cities as these properties are allowed to continue to deteriorate. In the years following the housing crisis of 2008, more and more zombie houses sprouted up after homeowners abandoned their mortgages. It's not always clear who actually owns these properties, but one thing is certain: neighbors and local governments complain that these abandoned homes are not just unattractive eyesores, but they are also a target for crime. Even though the housing market has since improved, zombie houses are still lurking. In an effort to minimize the negative effects of zombie houses on communities and their cities, local and state governments have been introducing programs targeted at this specific issue. Ohio, for instance, recently introduced Division (A) of Section 2308.031 of Ohio H.B. 463, which prohibits the use of plywood to board up windows after a property has been vacated. 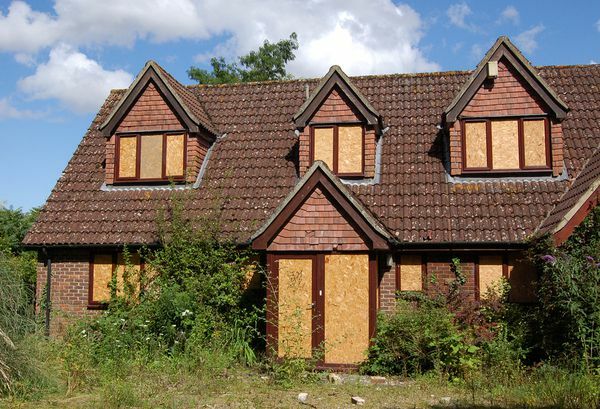 Abandoned properties with plywood nailed to window openings have a tendency to attract vandalism and violent crime, as well as the spread of blight. 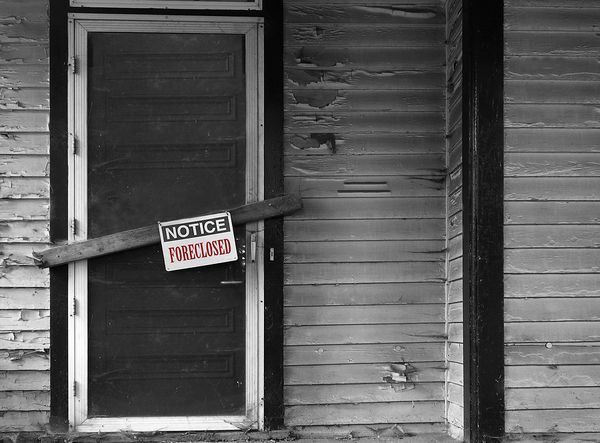 Legislation in the state of New York was recently signed by Governor Cuomo to combat blight as the result of zombie properties by implementing a pre-foreclosure requirement on financial institutions to continue maintaining these abandoned properties. Banks are also expected to expedite the foreclosure process for vacant properties to get listed on the market as soon as possible. Homes that have been abandoned are often the target of vandalism, crime, and blight. The Federal Deposit Insurance Corporation (FDIC) has gotten involved too, issuing a letter detailing specific guidelines for banks to follow regarding the handling of foreclosures and what should be considered before walking away from them after the process is already underway. The FDIC's guidelines stipulate that banks should use the most current market value information on the subject property before choosing to start or stop the foreclosure process. They're also encouraged to inform the appropriate government entities when the decision has been made to abandon the foreclosure process. Mortgage holders are to be adequately informed of their continued obligation to maintain the property, including paying all relevant property taxes and utilities until the foreclosure process has completed. Banks obviously do not want to have to deal with the maintenance costs associated with zombie homes that have been abandoned in the middle of the foreclosure process. Foreclosures can certainly be financially draining for banks if they are not properly handled, particularly as they increase in complexity over the course of the process. Rather than reach the point of an abandoned foreclosure, banks would be prudent to sell mortgages that are on the brink of delinquency in order to avoid these unpleasant and costly scenarios. The ideal way to go about this is to partner up with a full-service asset management company that is well versed in the realm of loan sales and acquisitions. That way, banks will be able to optimize their loan portfolios, making them both profitable and less vulnerable to risk.